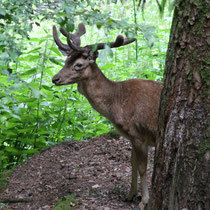 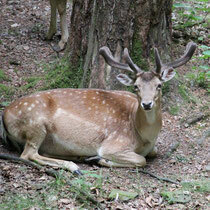 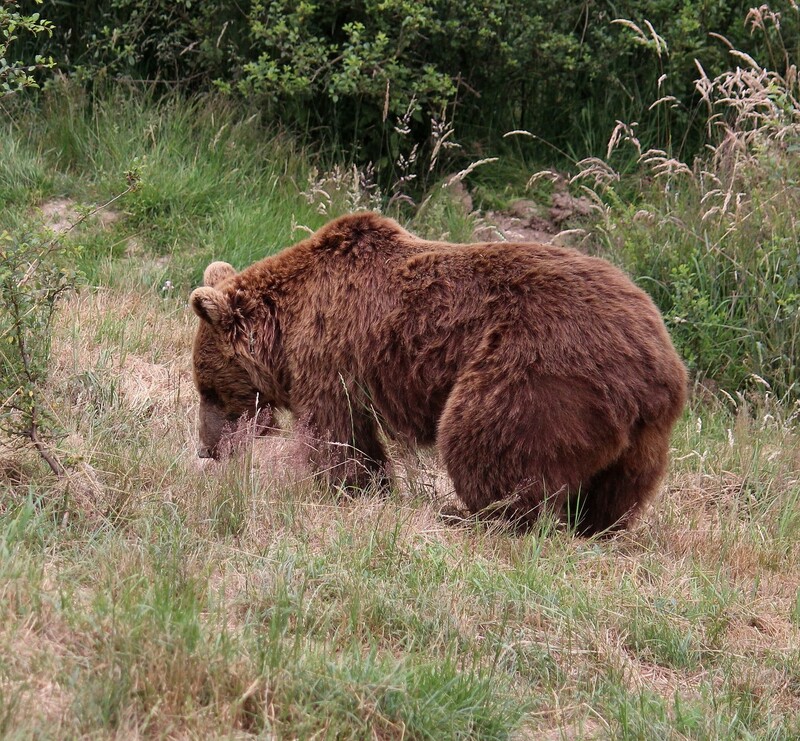 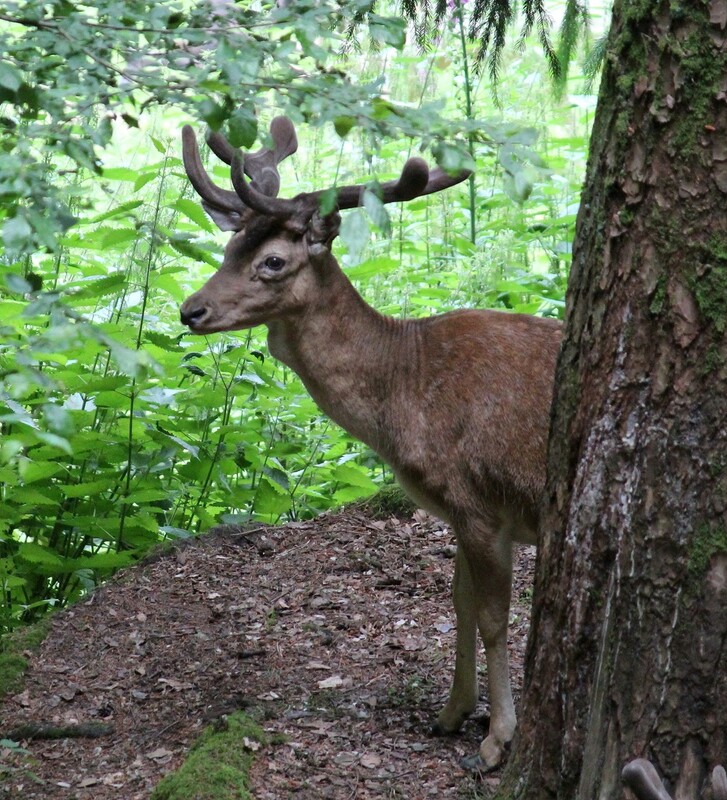 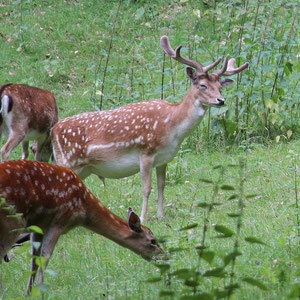 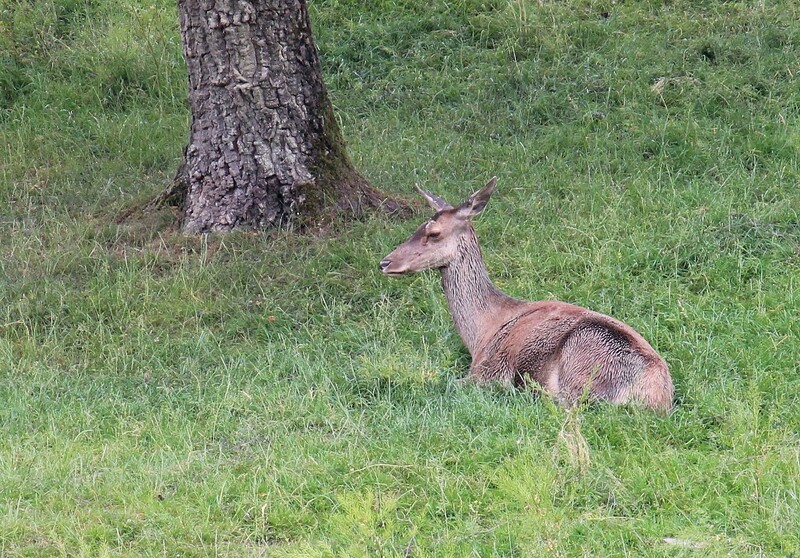 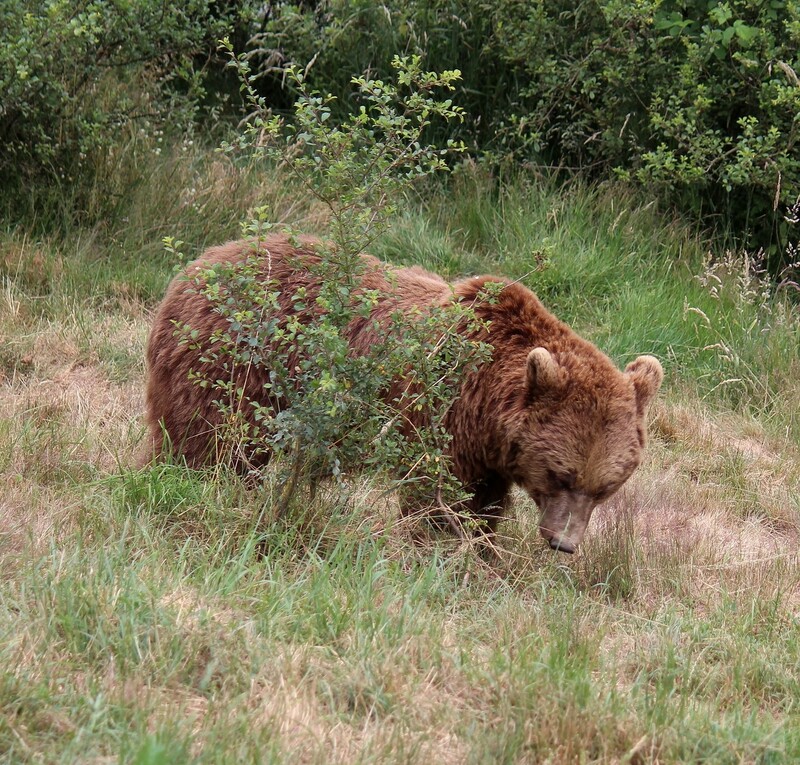 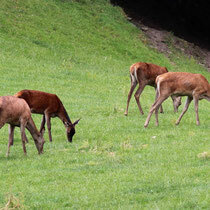 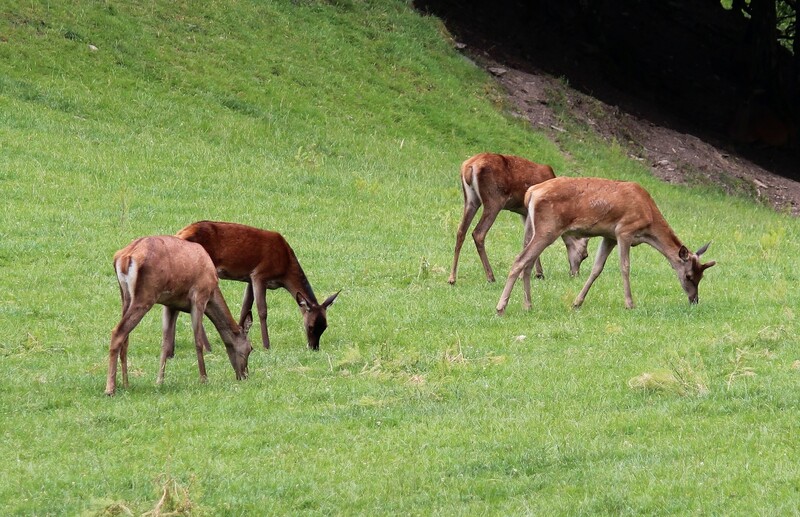 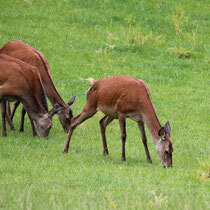 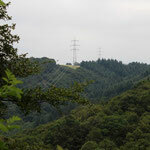 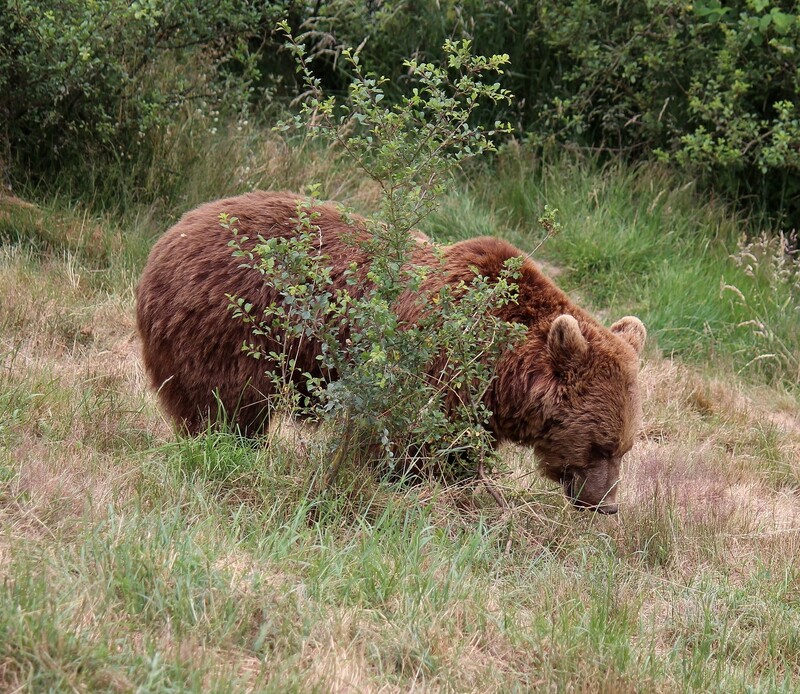 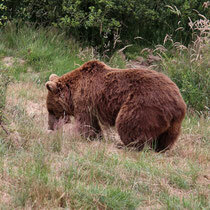 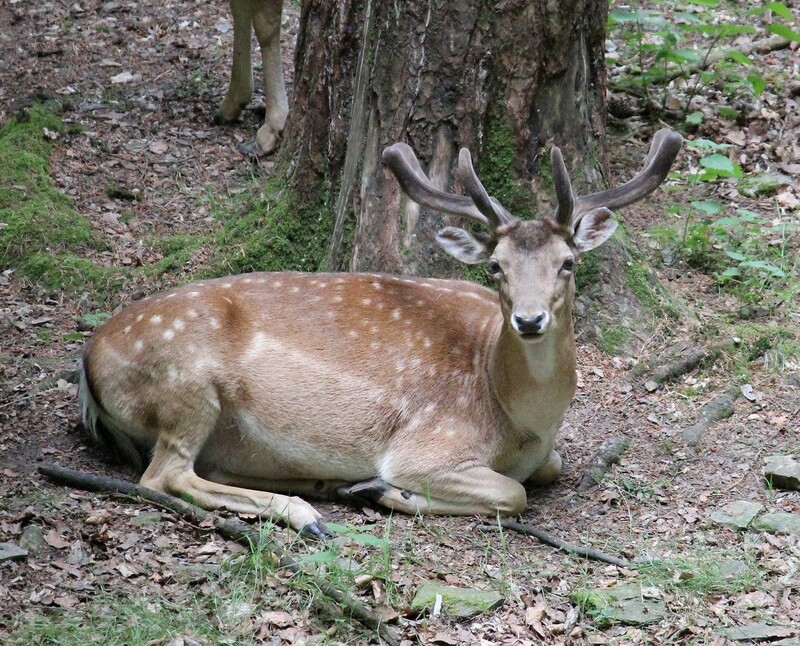 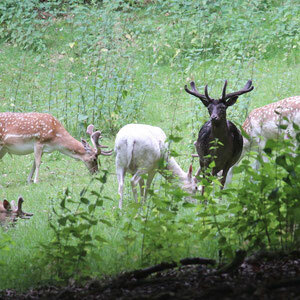 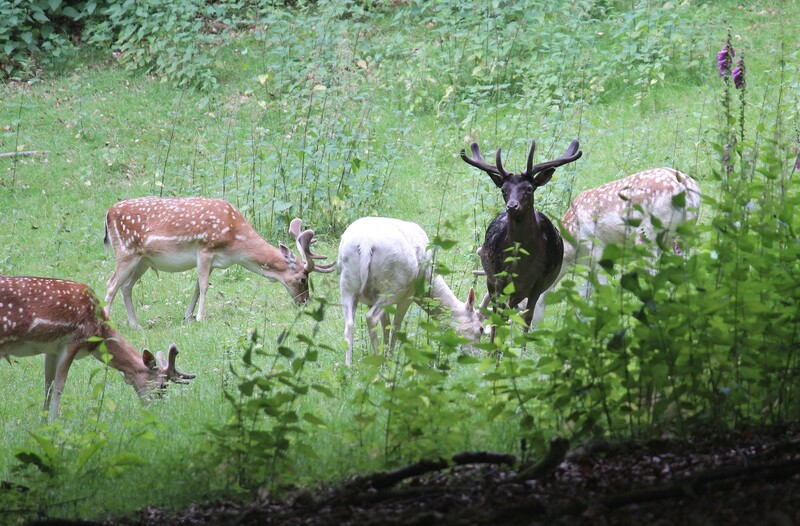 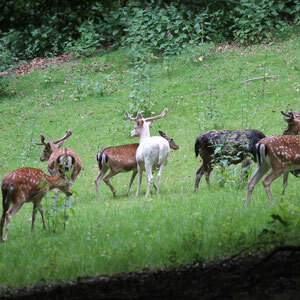 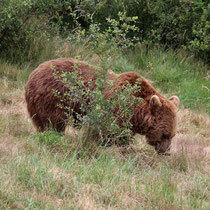 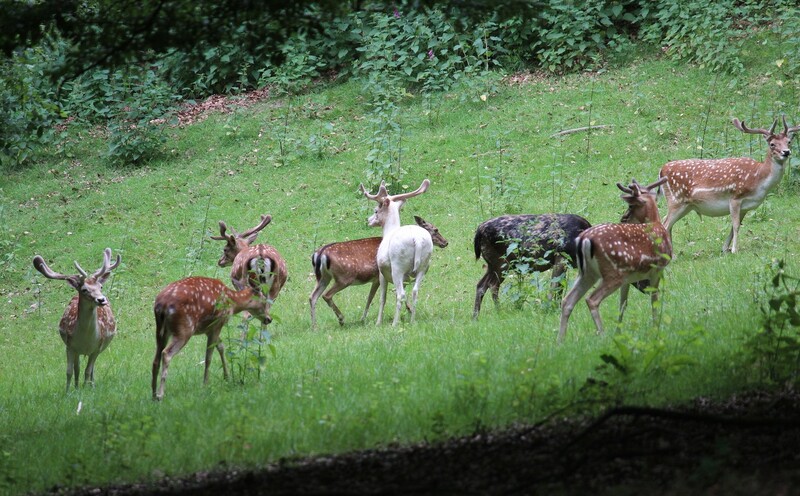 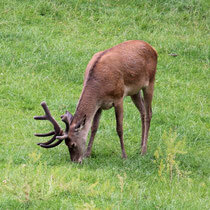 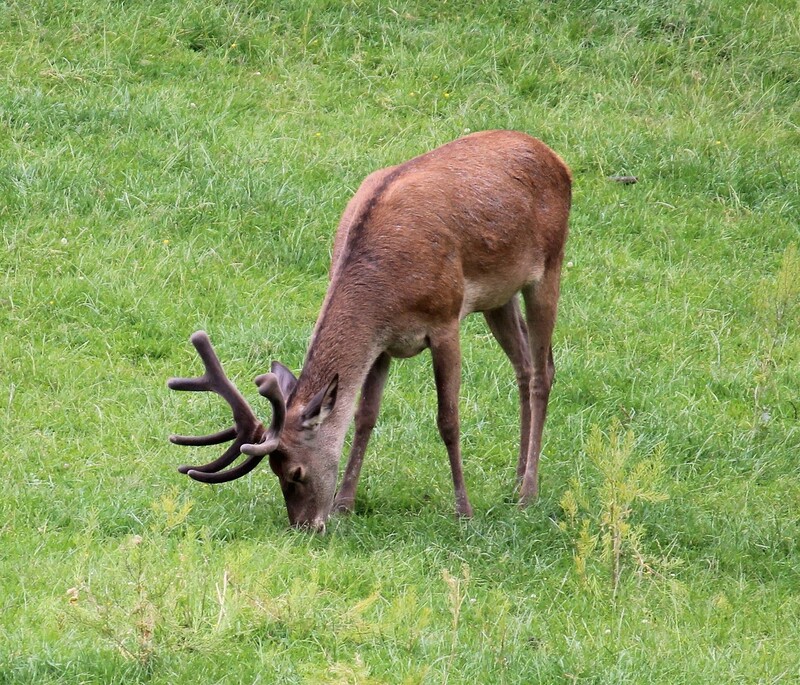 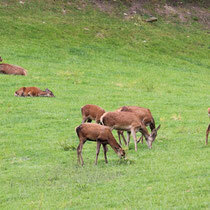 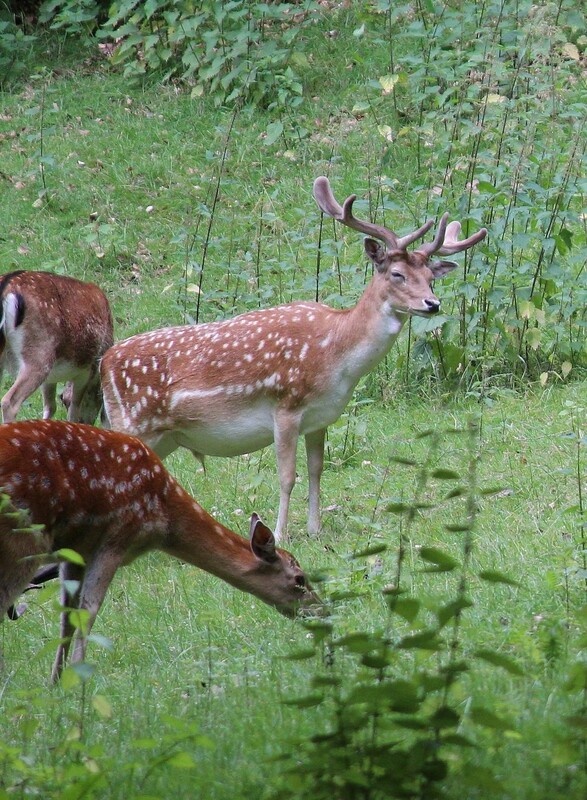 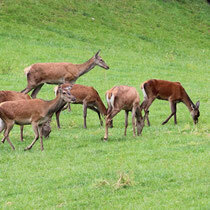 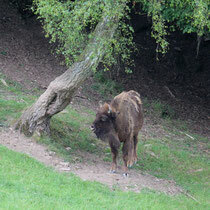 If you happen to be in the Montabaur area you might want to visit the Wildlife Park Westerwald. 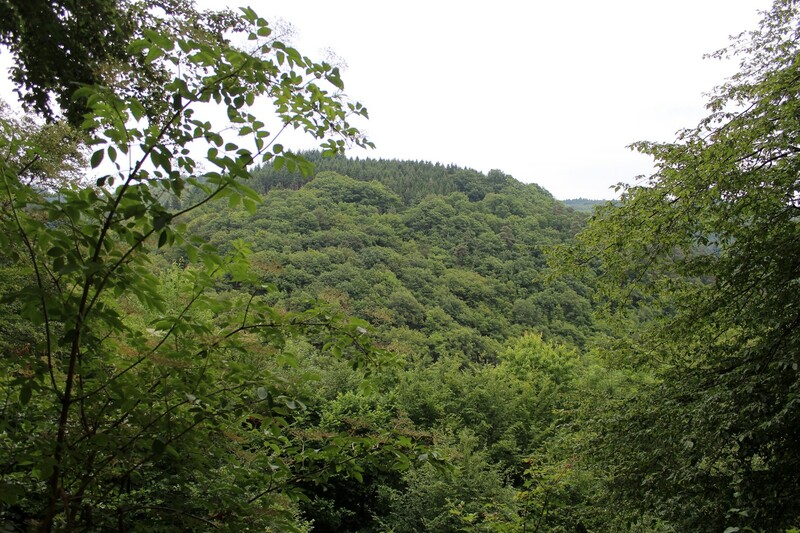 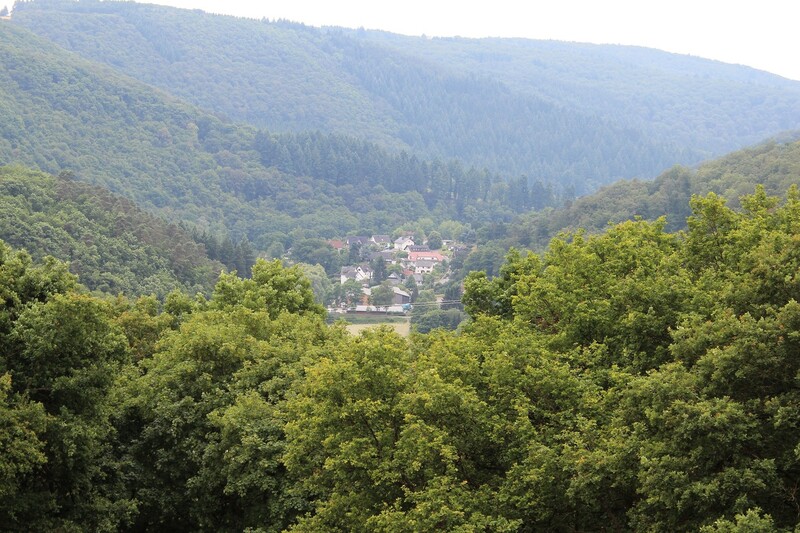 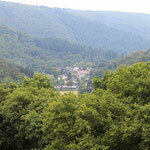 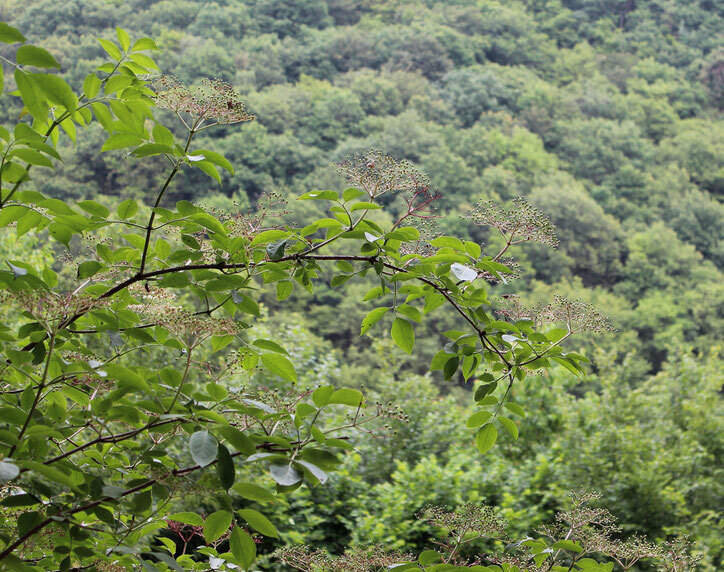 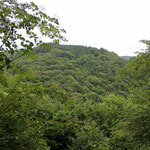 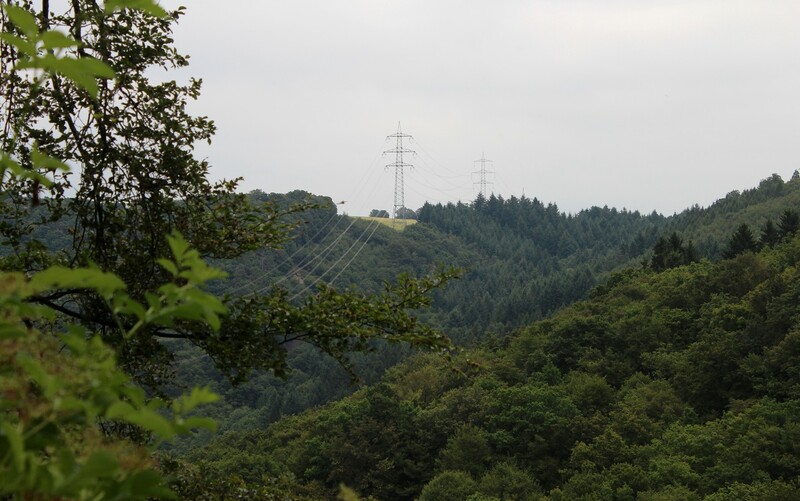 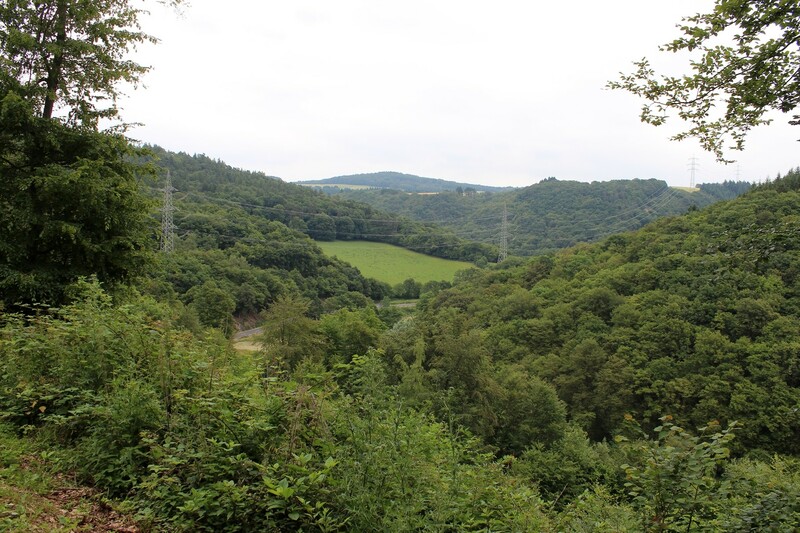 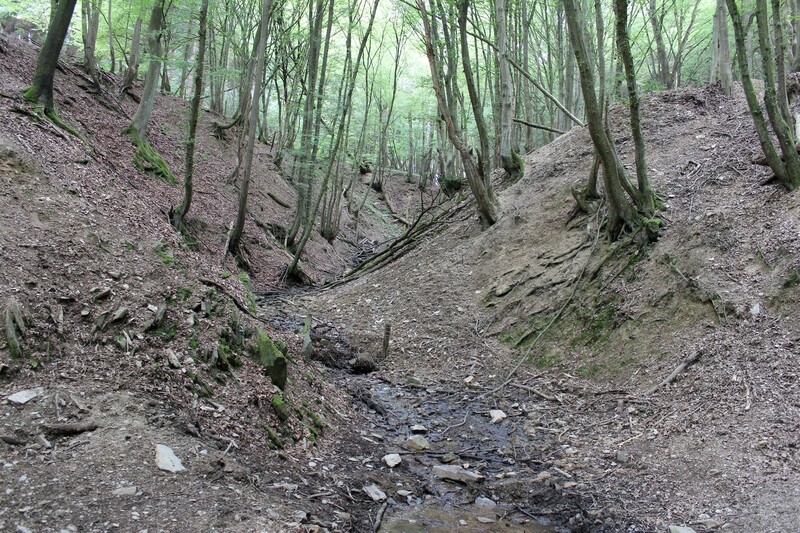 It is located in the scenic Gelbachtal - a tributary valley of the river Lahn. 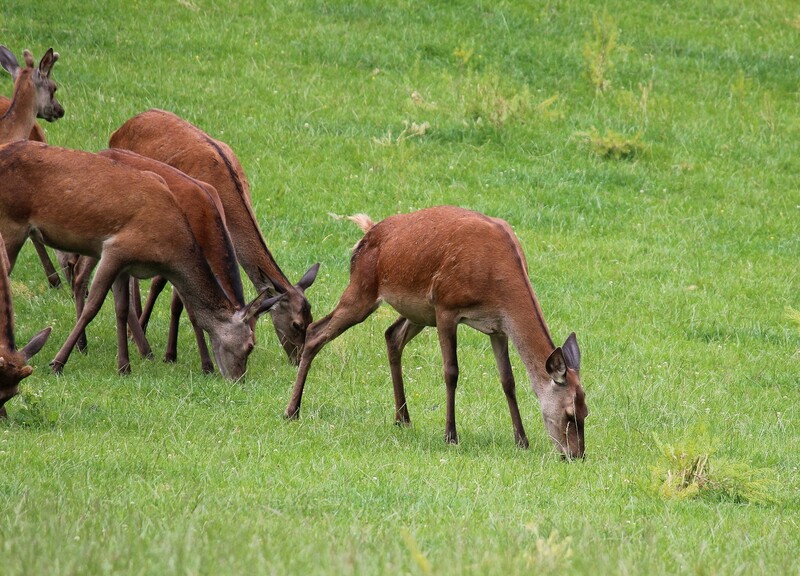 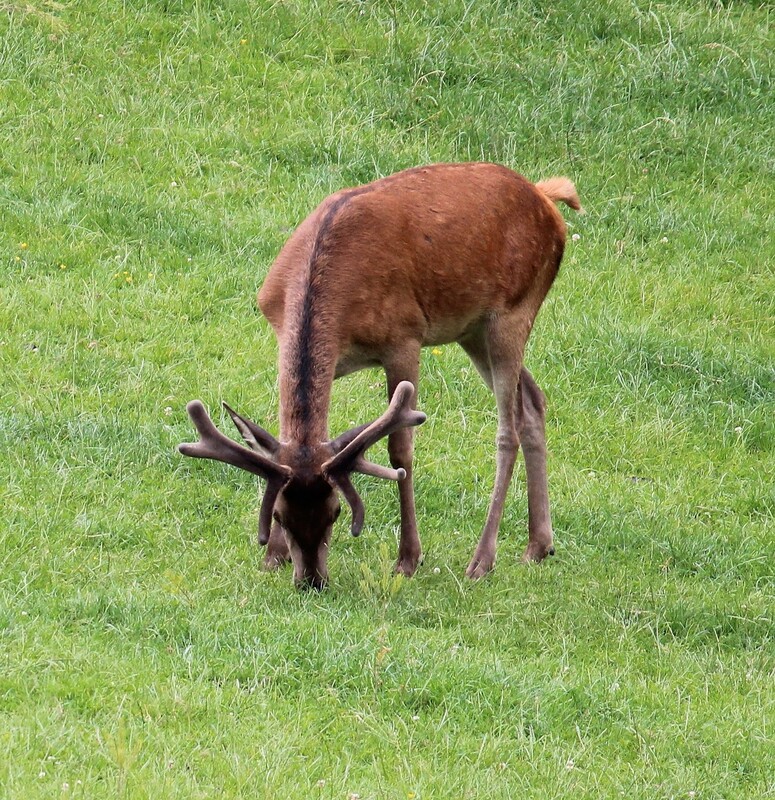 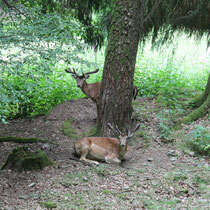 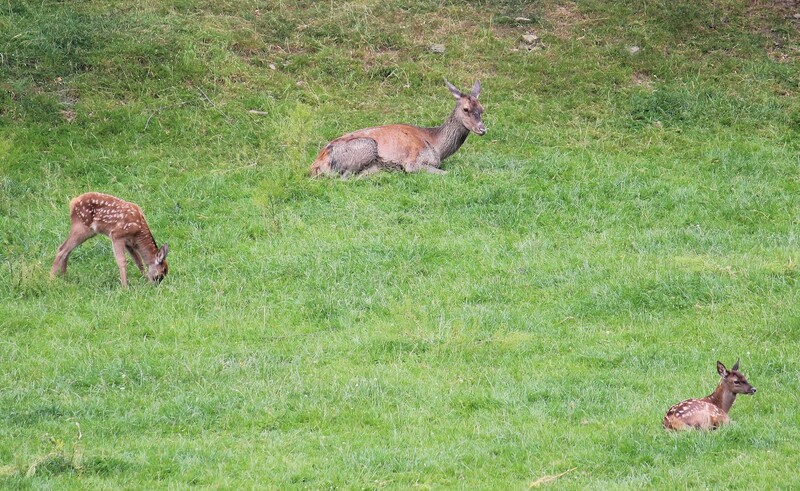 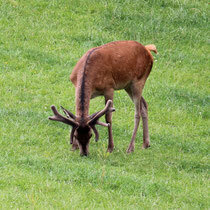 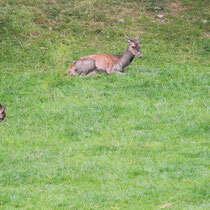 One of the first sights after entering the park were these two stags. 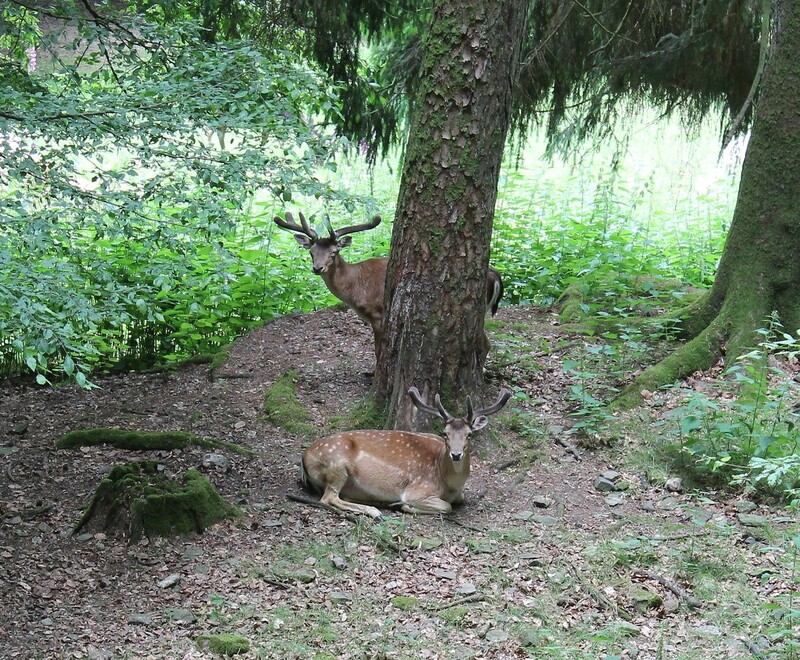 They were totally unperturbed by the visitors. 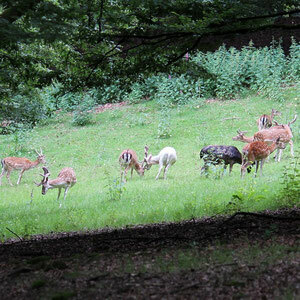 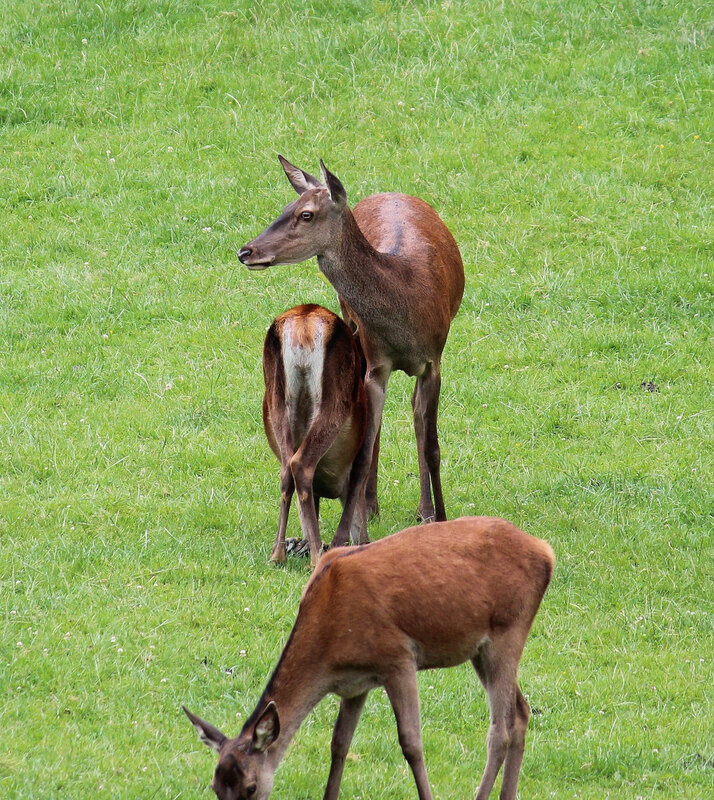 Most of the deer inside the park can run free. 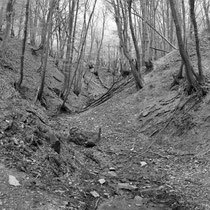 At the entry rsp. 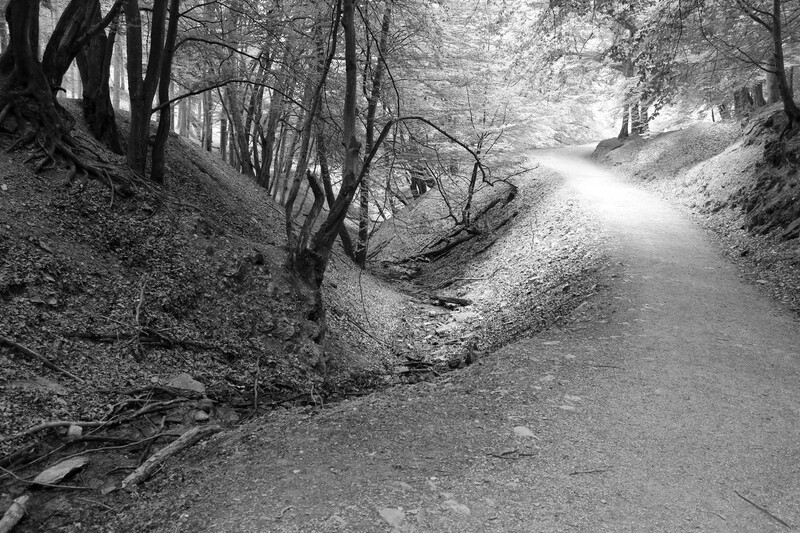 exit points there are grates across the path that they cannot cross. 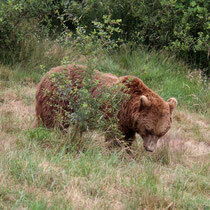 People are also allowed to feed them with special food, which is of course especially nice for kids. 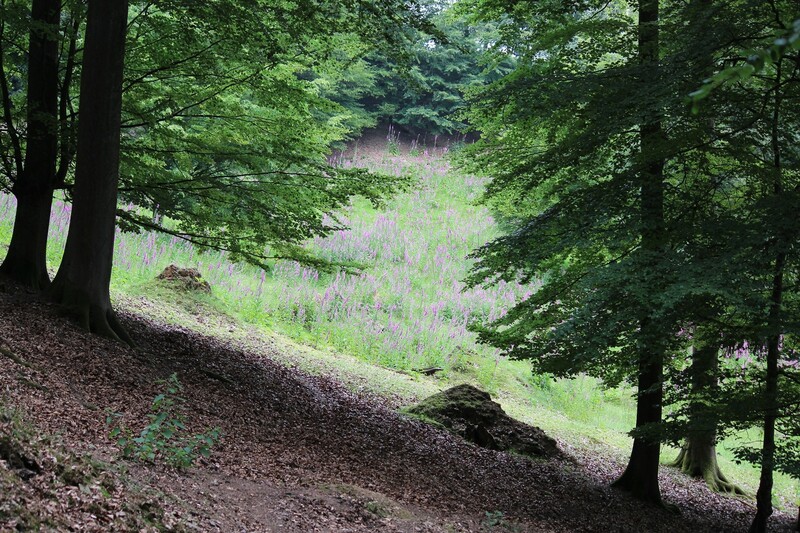 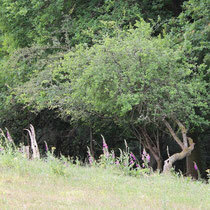 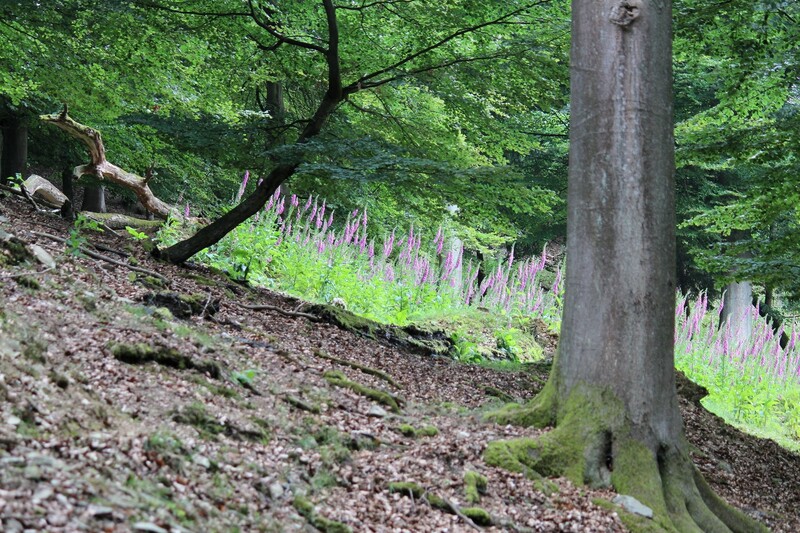 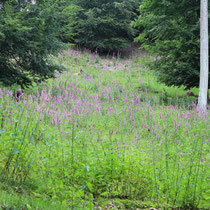 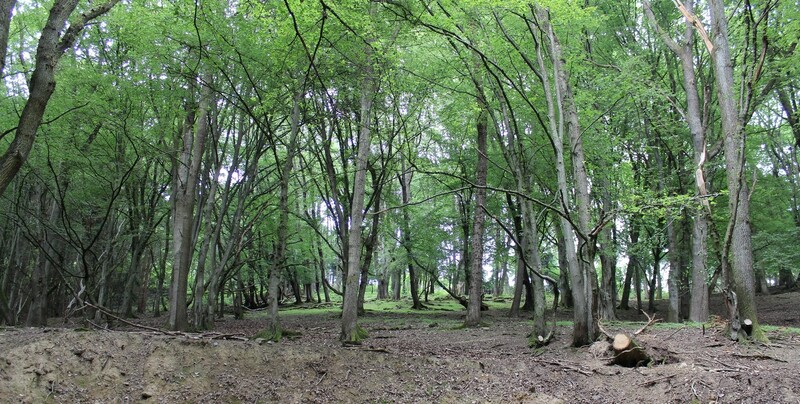 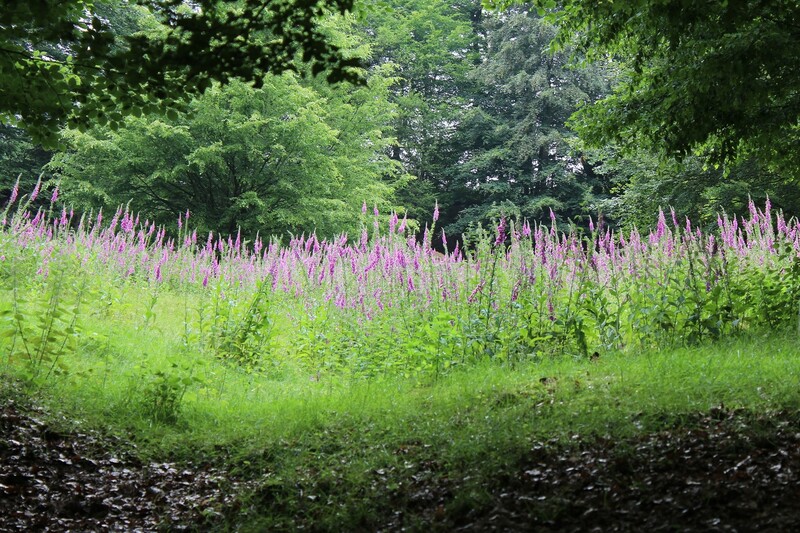 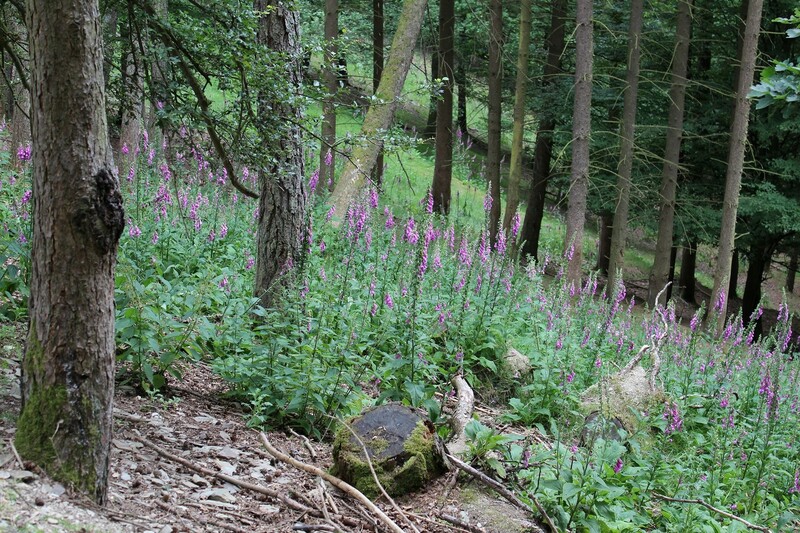 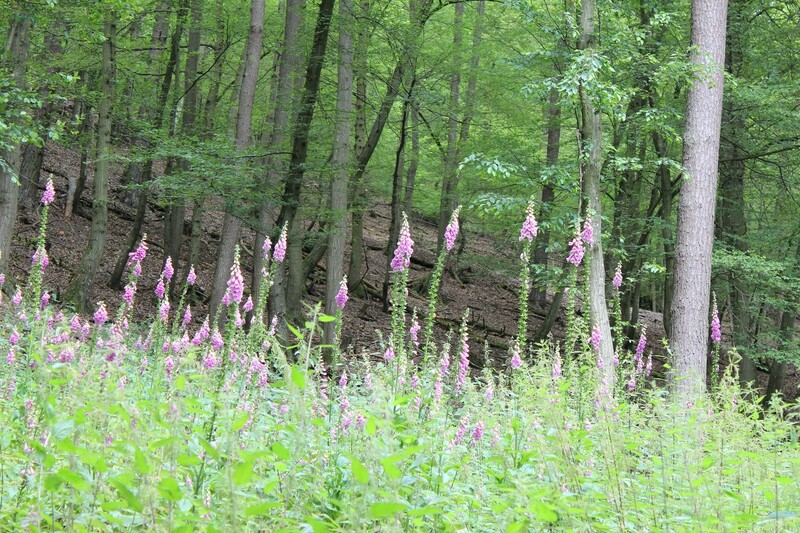 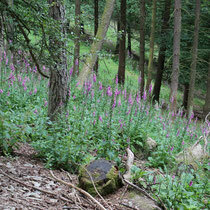 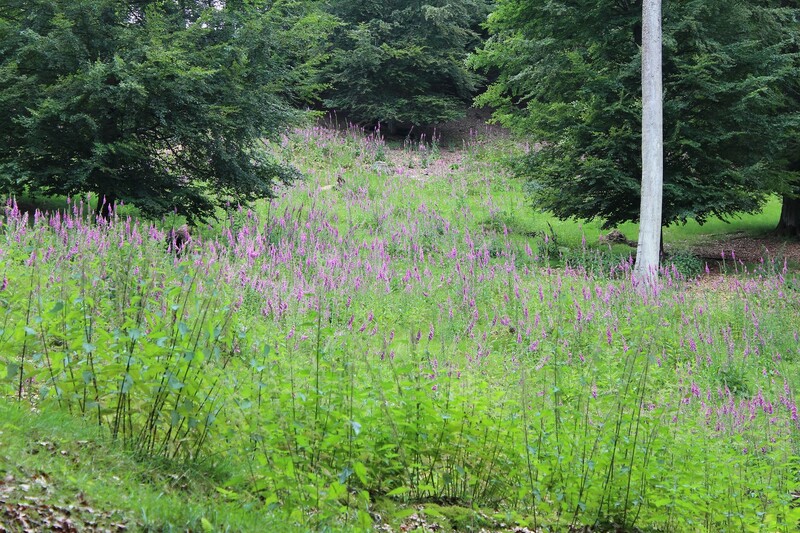 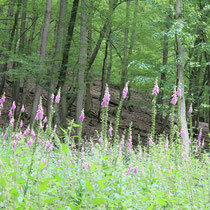 It seems the forest is left alone and therefore has a wild beauty - also due to the colorful splashes that the many meadows filled with foxglove provide. 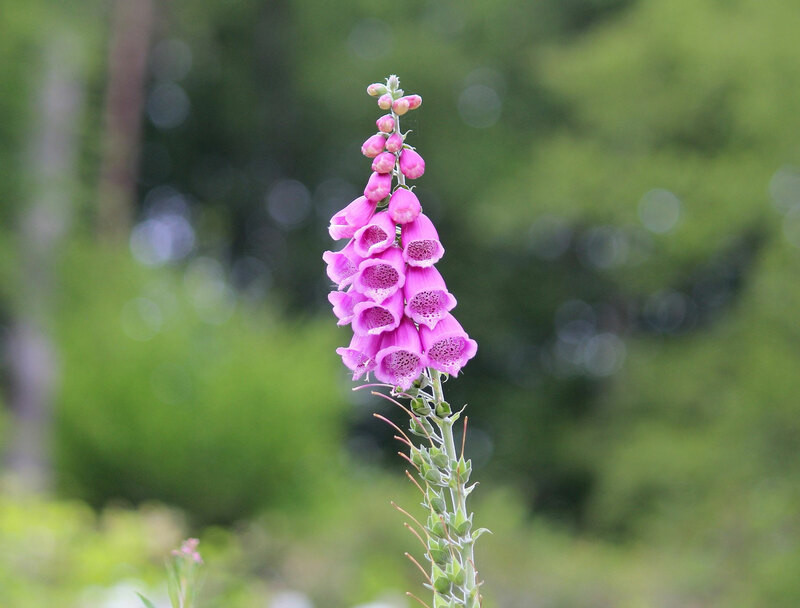 This is how the foxglove looks from up close. 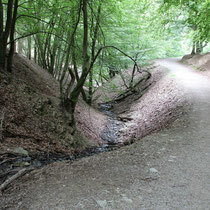 There are two round loop trails through the park - one shorter than the other. 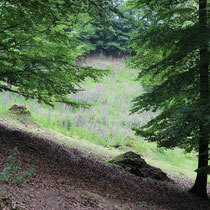 The longer one leads up on a hilltop from where the visitor can enjoy the beautiful panorama. 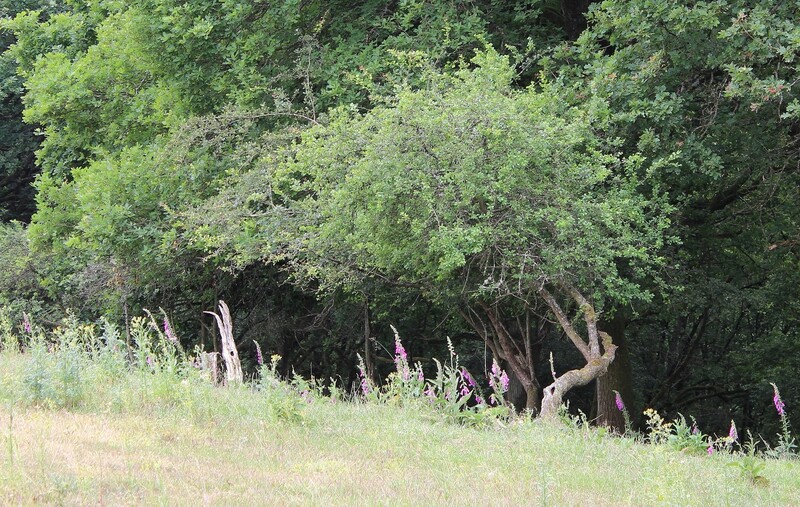 If you take a closer look you can even see the berries on the trees. 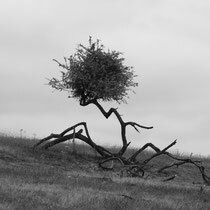 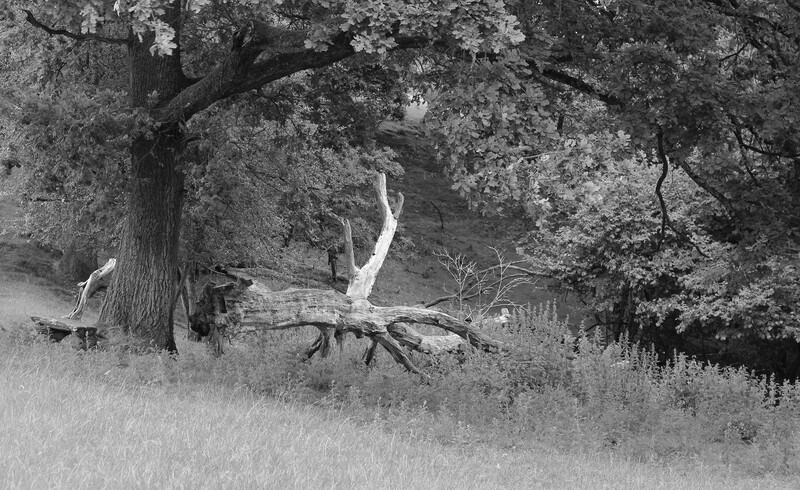 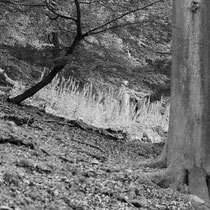 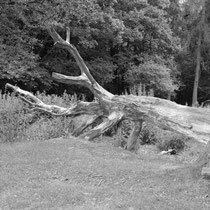 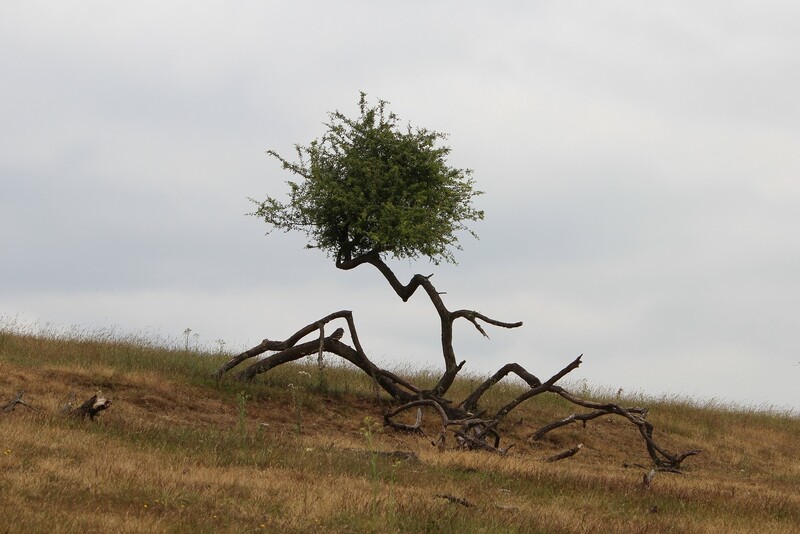 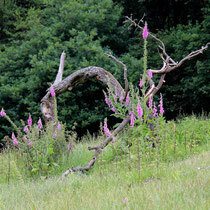 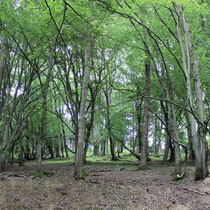 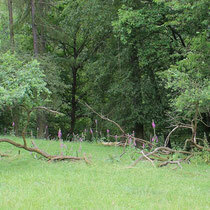 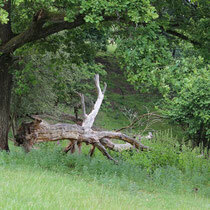 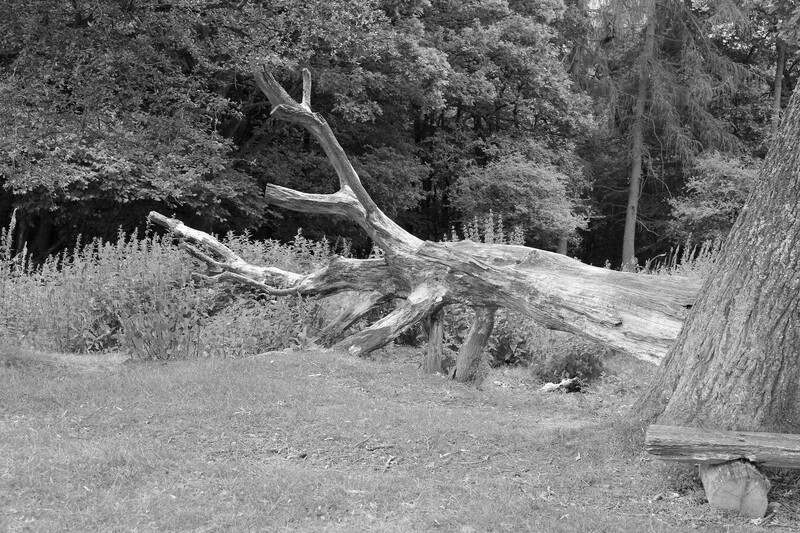 Along the trails there are roots - maybe from trees felled by storms - most of them are already surrounded by life again. 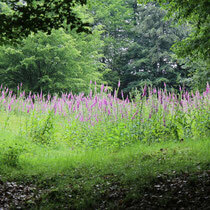 ... and down a meadow. 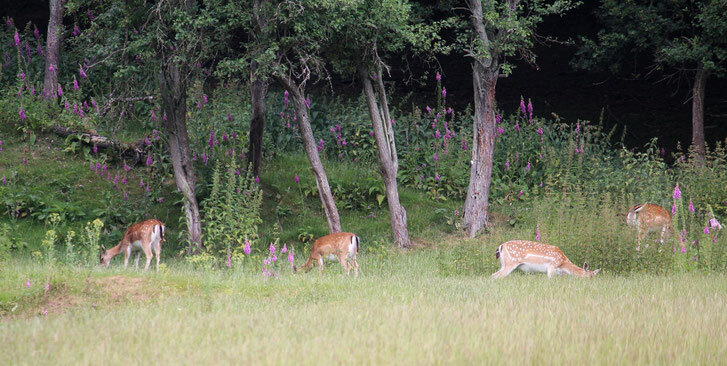 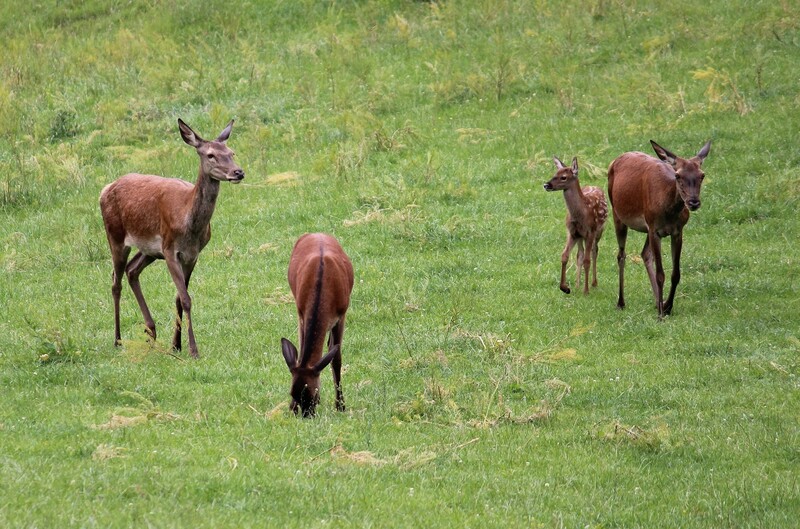 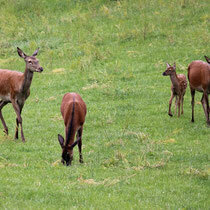 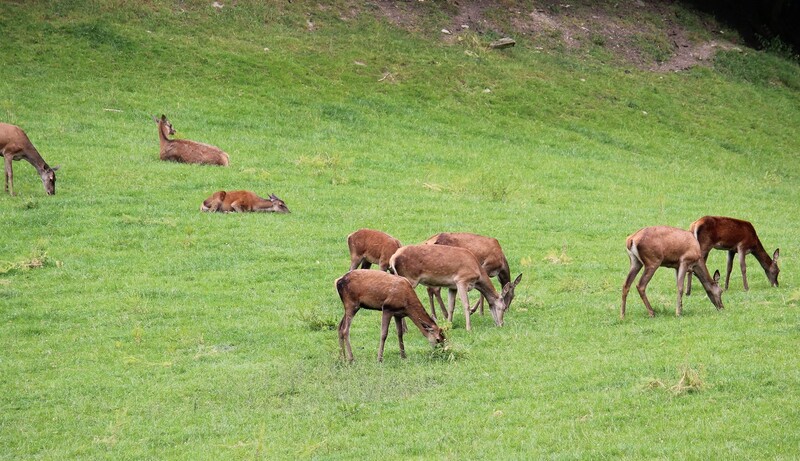 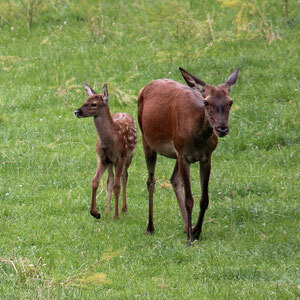 The ones on the meadow were accompanied by several fawns. 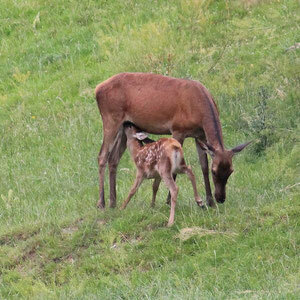 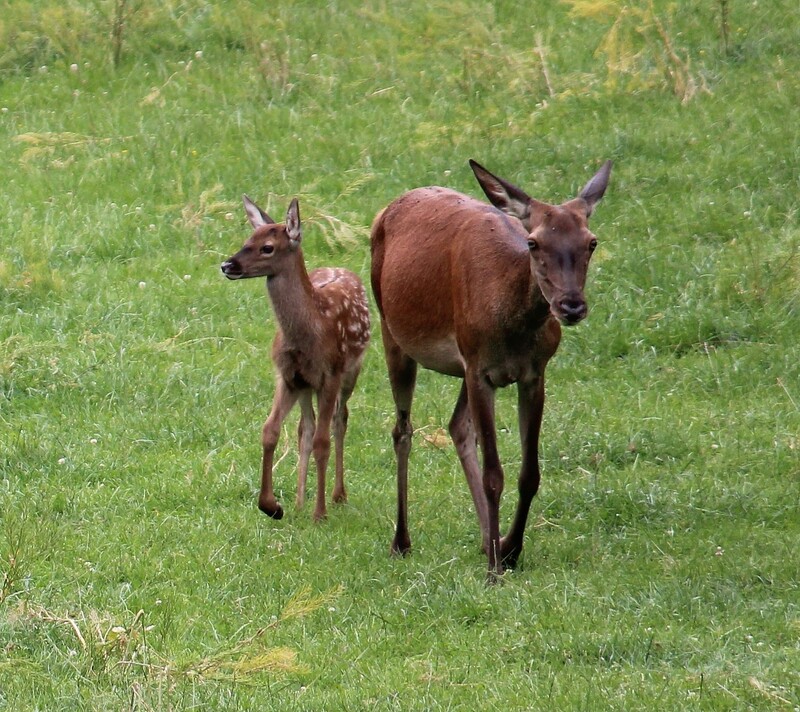 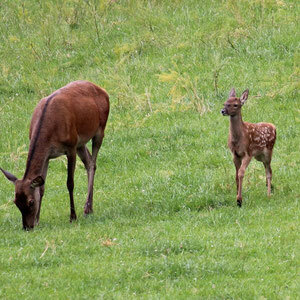 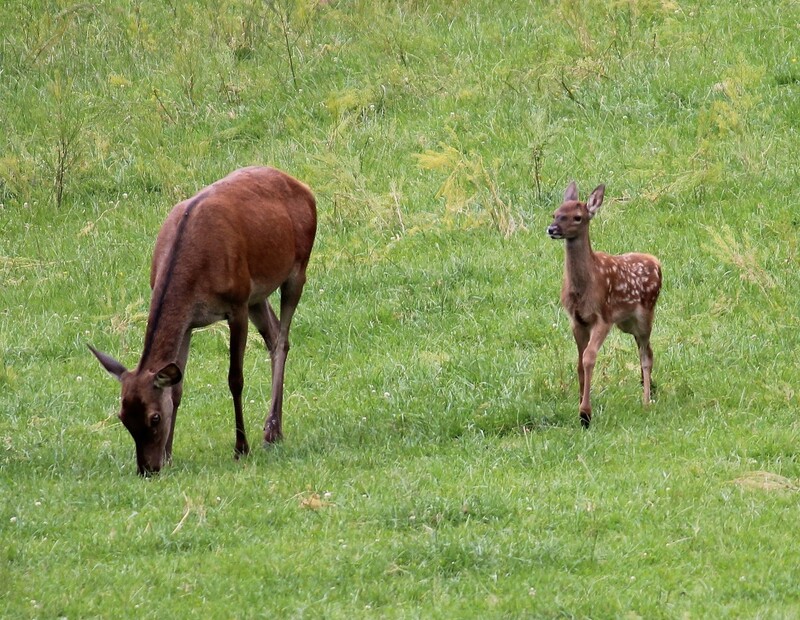 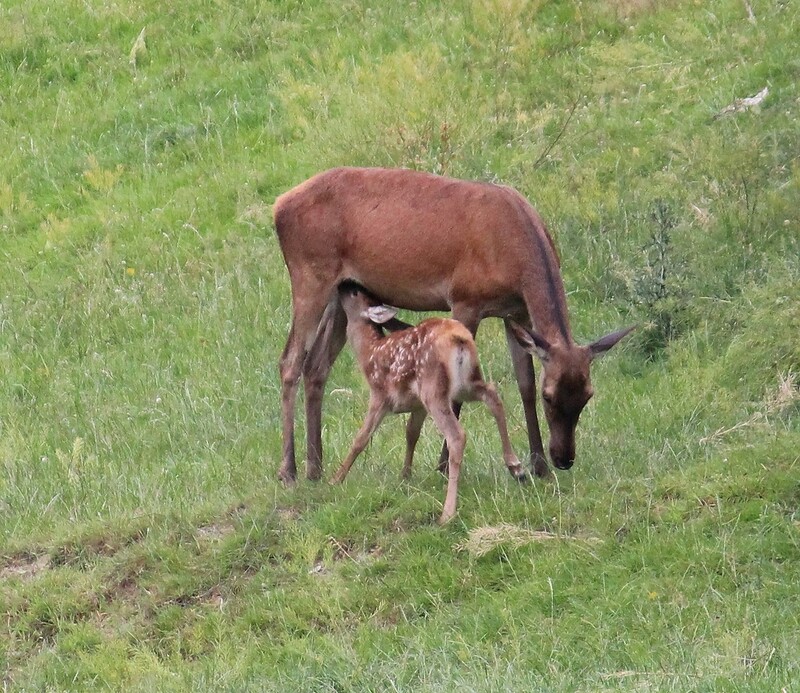 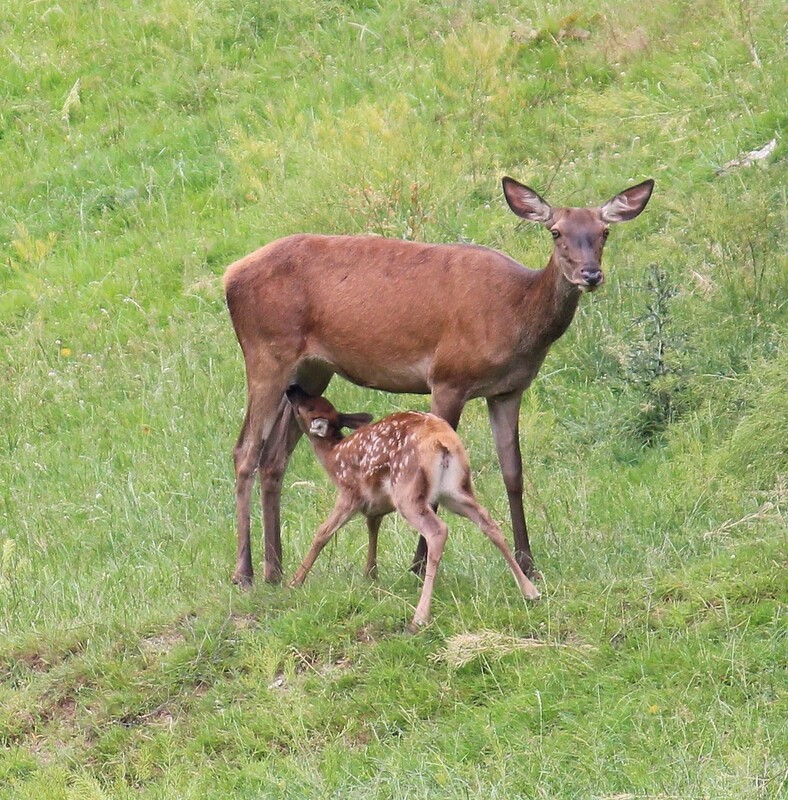 The fawns are really cute - especially when they run to their mothers to get some milk. 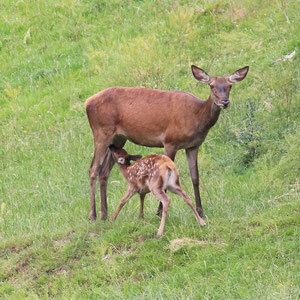 Funny enough there was this nearly grown deer that kneeled down next to another one to drink some of their milk. 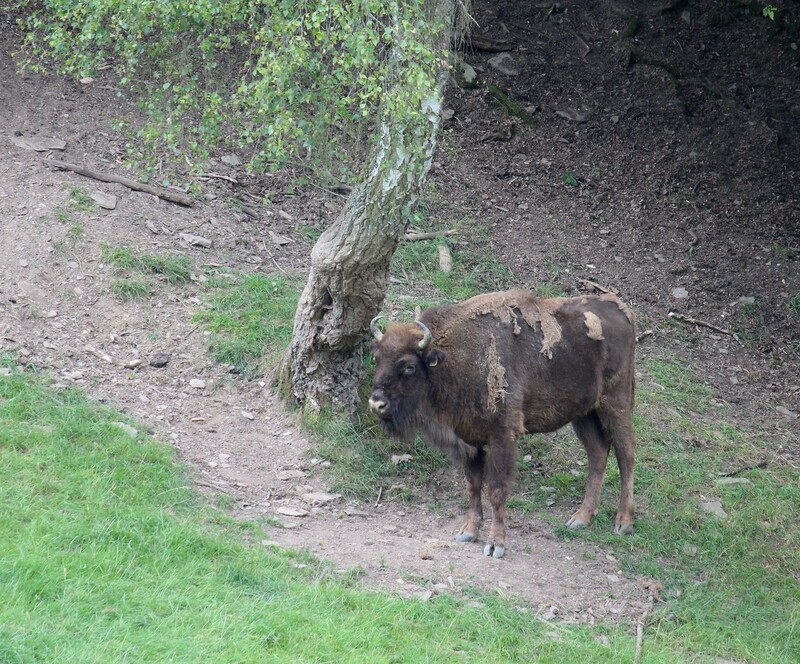 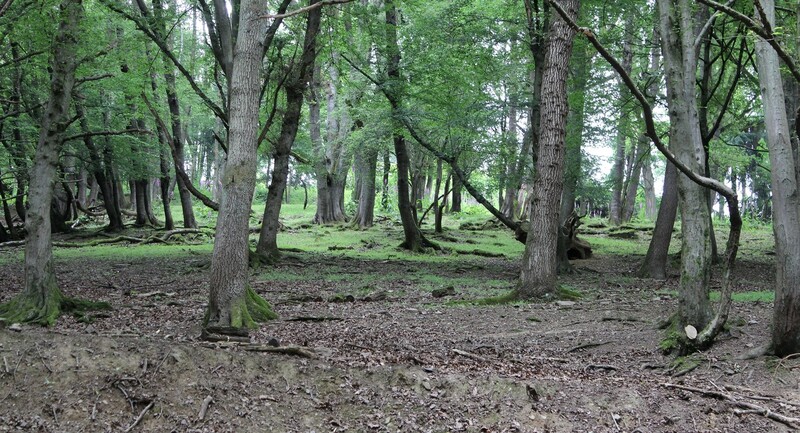 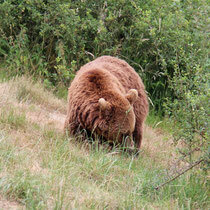 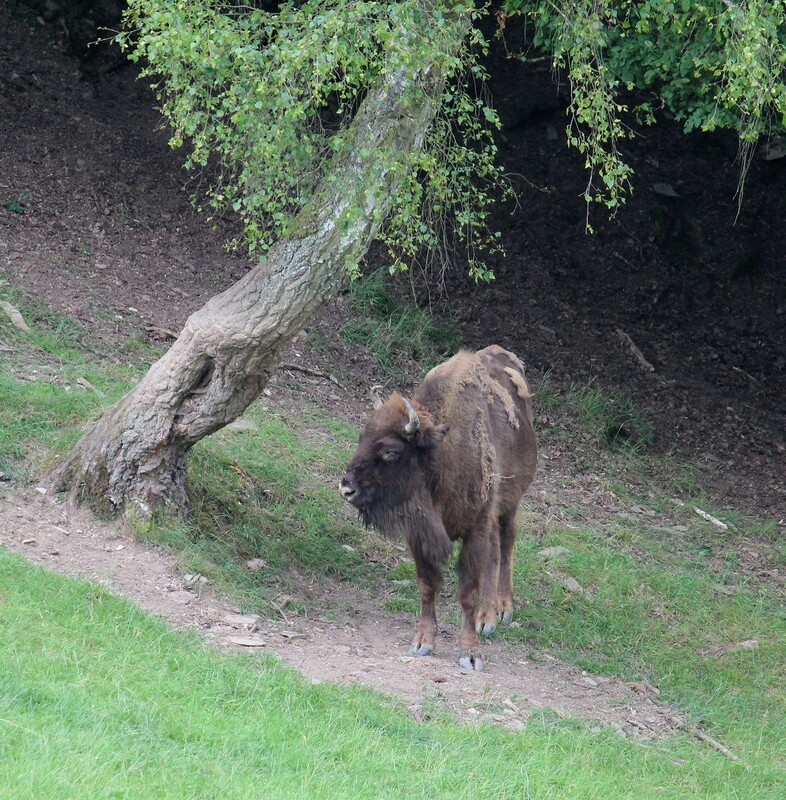 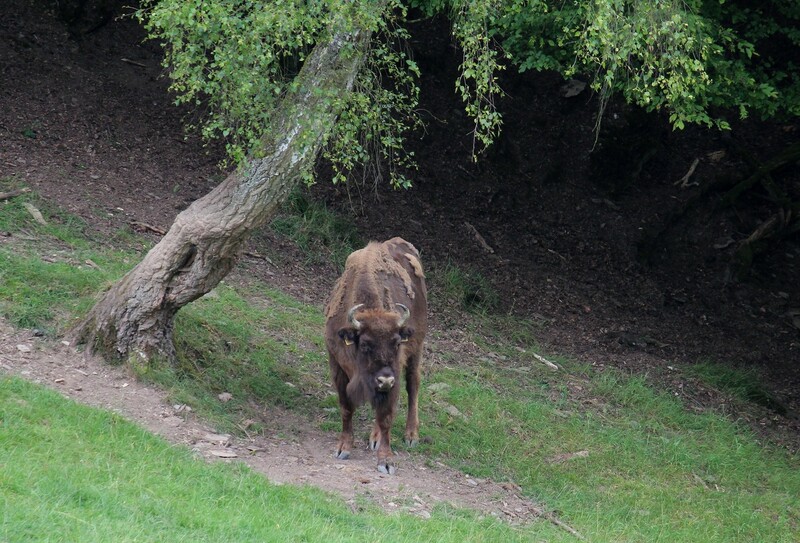 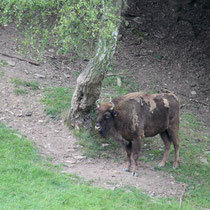 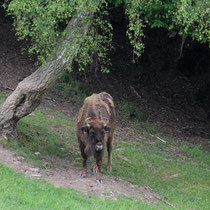 At one point there was an impressive wisent aka European bison. 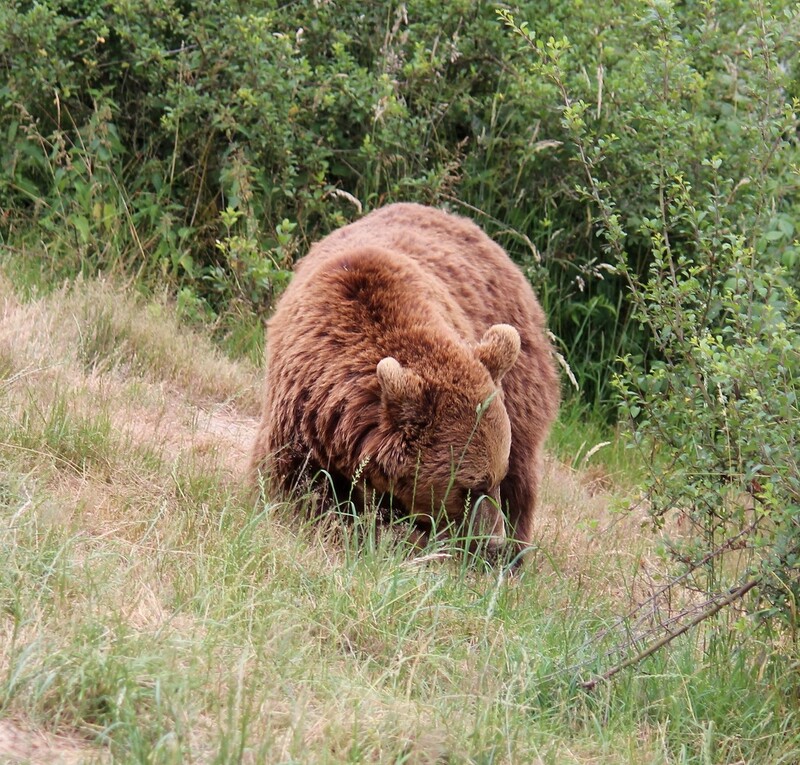 It looked quite shaggy with the remnants of its winter fur. 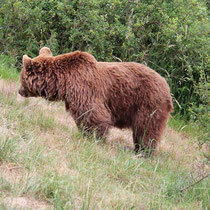 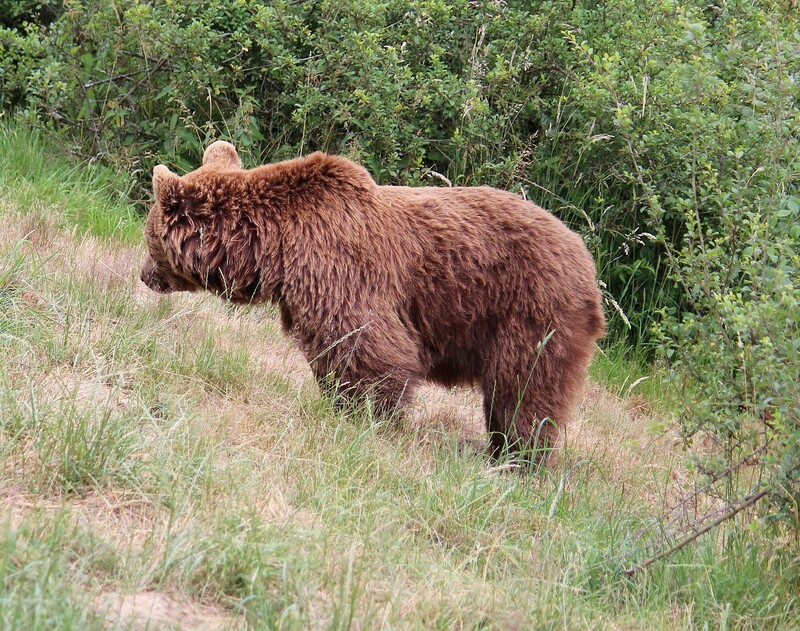 The last big compound belongs to two bears. 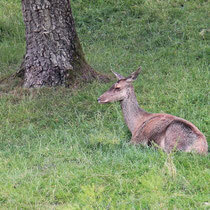 This time there was only one of them visible - and he was being a bit coy with the camera. 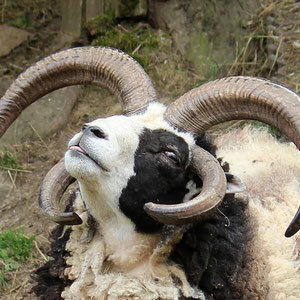 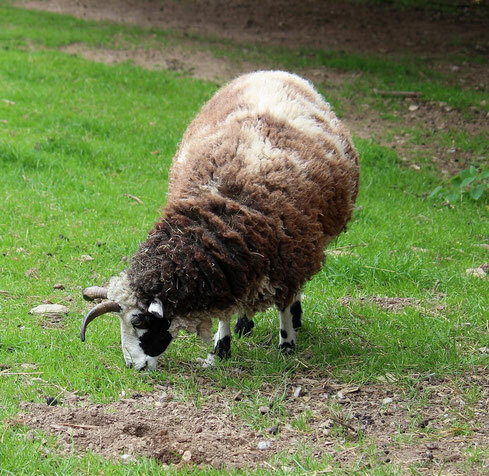 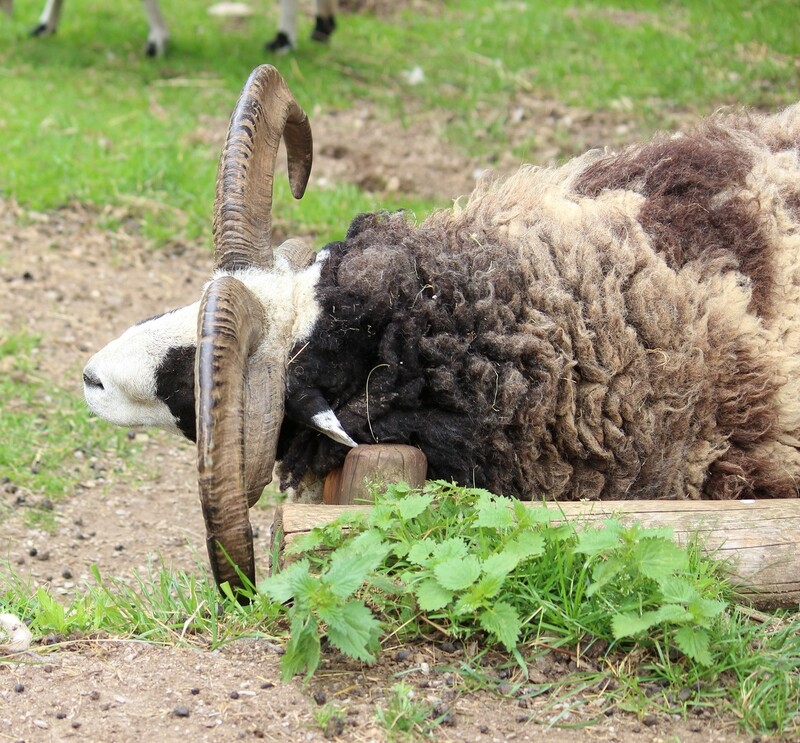 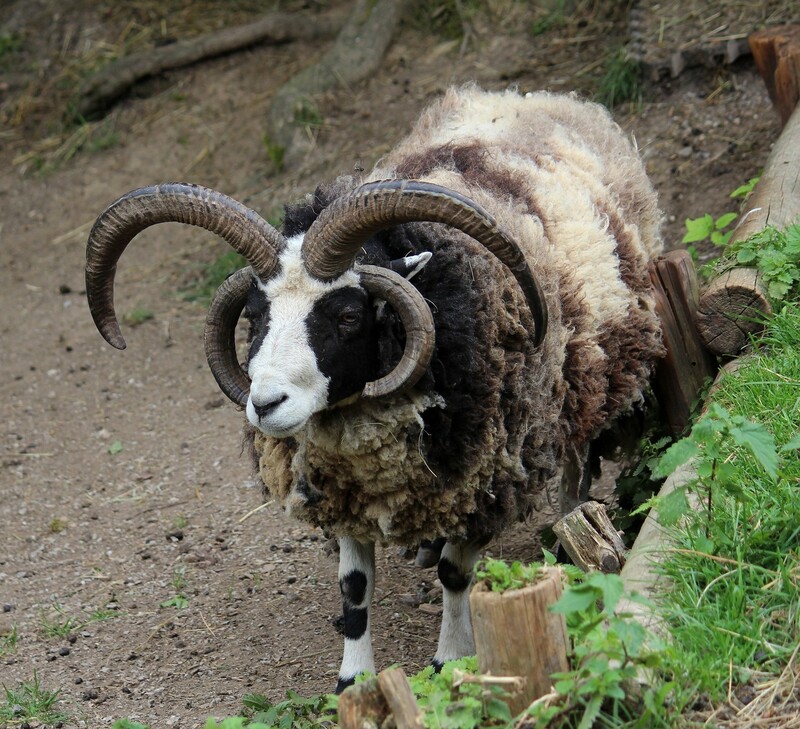 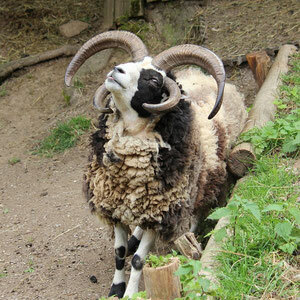 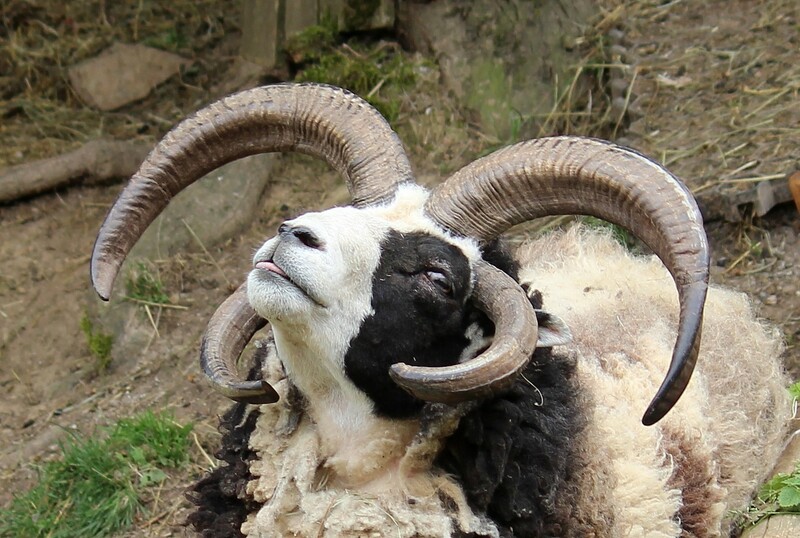 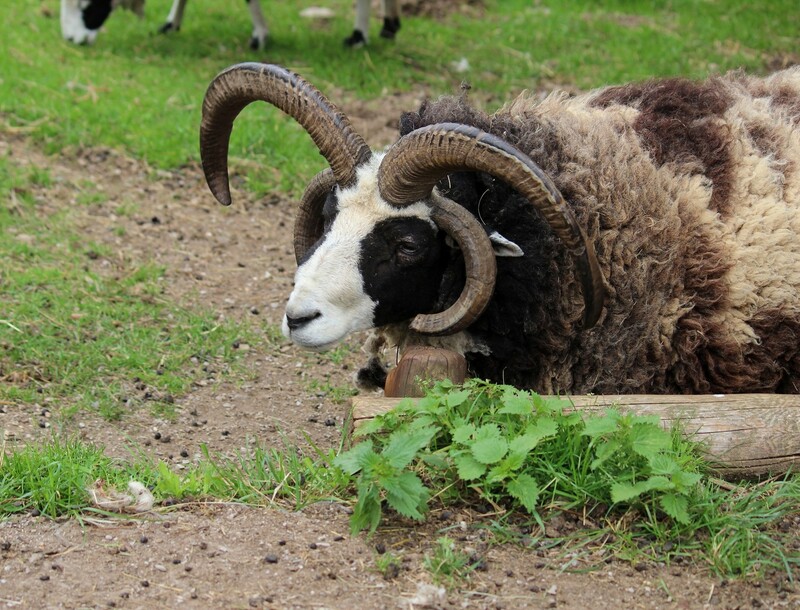 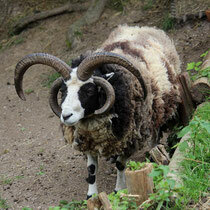 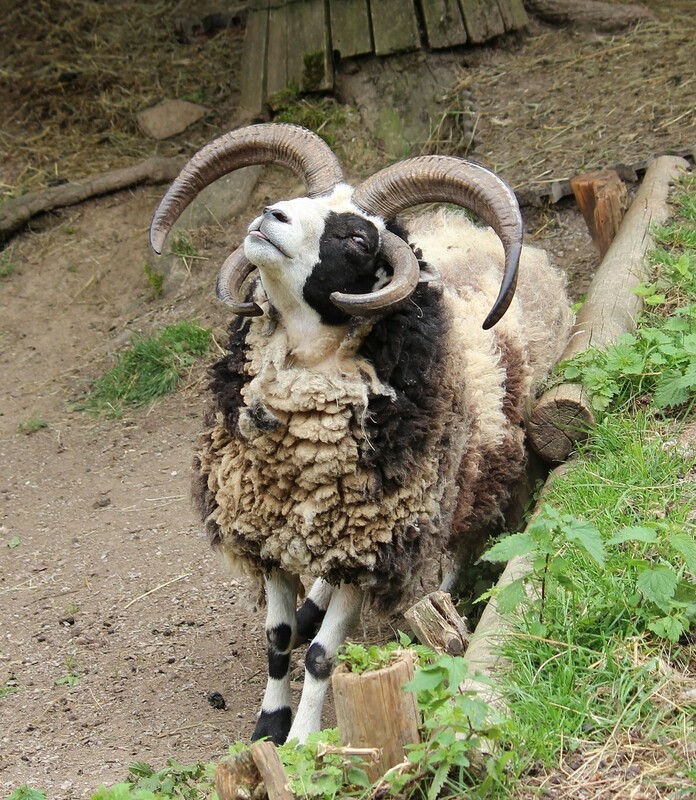 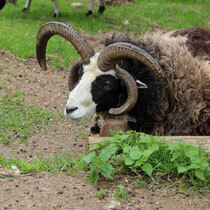 ... the ram beats them in that section hands down with its beautifully curved horns. 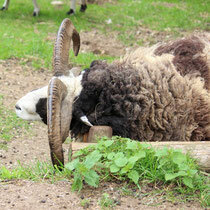 The look of pure bliss when it was scratching itself on a wooden pole was hilarious. 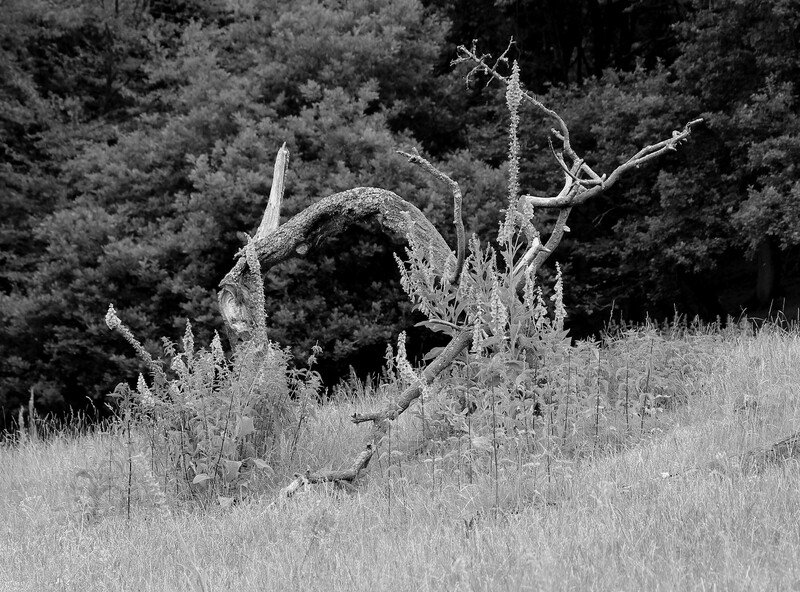 Last but not least a few of the photos in black-and-white. 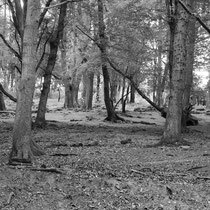 Again it is amazing how the lack of color changes the "feel" of a scene.